Great strides are happening in the medical field of Genetics. It is fascinating, exciting, and highly informational. But what is genetic testing and how is it done? What is informed consent, and what are the benefits and risks of having this information available? Learn more about genetic discrimination, what to look for, and your legal rights under the law today. 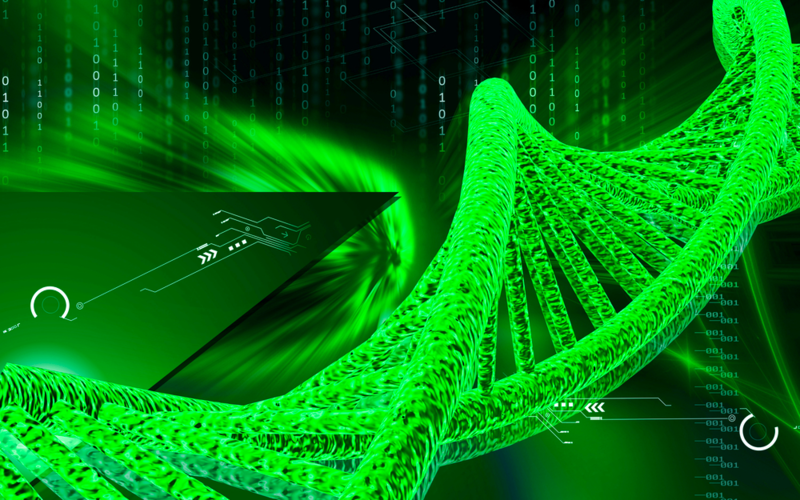 Genetic testing identifies changes in genes, proteins and chromosomes. The results will show whether you have a genetic disorder, are at a higher risk for developing one or passing it on. If your doctor is trying to find the cause for your current symptoms, it can also rule out many disorders. The three methods of genetic tests are molecular, chromosomal and biochemical. Genetic tests are done on samples of saliva, blood, hair, skin or tissue. During pregnancy, amniotic fluid (that the baby is surrounded by in the womb) can be tested. It should be noted that there is a small, but real risk of loss of pregnancy with this test. Genetic Information is information about you and your family that includes what diseases, disorders or conditions you have, or may have an increased risk of getting in the future. This also includes family medical history (which every physician office and hospital ask for). In other words, it is a comprehensive compilation of genetic testing results for you and your family, as well as a thorough family medical history. There are many reasons to have genetic testing done. Today, ancestry information is driving a huge market for direct-to-consumer testing, where a kit is mailed to you, you provide some saliva, and they get back to you in a couple of weeks with a detailed accounting of your ancestral history. Newborn Screening: immediately after birth to identify disorders that can be treated early in life. Diagnostic Screening: used to identify or rule out specific chromosomal or genetic conditions. Used frequently to confirm or rule out a suspected condition based on signs and symptoms you are currently experiencing. Carrier Testing: used to identify a person who carries one gene mutation, that, when paired with a partner with the same gene mutation, will cause a child to be born with a genetic disorder. Family history of a genetic disorder and people of certain ethnic groups with an increased risk of certain conditions are offered this option. Prenatal Testing: used to detect abnormalities before birth. It cannot identify all possible inherited disorders and birth defects, but can help some couples make decisions about a pregnancy. Preimplantation Testing: (PGD) Preimplantation Genetic Diagnosis, a highly specialized test used to detect changes in embryos that were created using assisted reproductive techniques such as in-vitro fertilization. Predictive and Presymptomatic Testing: used to detect an increase in a person’s risk for developing disorders with a genetic basis such as cancer later in life, and who usually has a family member with that disorder. 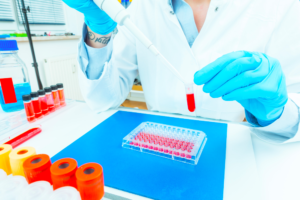 Forensic Testing: This is used for legal purposes, not to detect gene mutations, but to identify victims and crime suspects (or rule them out) and for paternity tests. Informed Consent is necessary, in writing, before any genetic testing can be done. A medical provider or counselor details what the test is, how it is done, the benefits and limits of the test, and any physical or emotional risks associated with the test. It is important to note what happens to the results of that test. Will they be destroyed, or can they be used for research or sold to a third party? It is imperative that people make educated decisions regarding this and any medical testing done. Benefits of Genetic Testing are many. A positive result can lead to prevention and multiple treatment options, as well as informed monitoring. A negative result can give immediate relief from fear and uncertainty. Some results help couples decide about having children and can prevent real heartache. Newborn testing can catch lifelong genetic disorders early so prevention and treatment can be started immediately. Forensically, the benefits are immense both in identifying criminals, and by clearing those not guilty. The Risks and Limitations of Genetic Testing fall into two categories – 1) physical and 2) emotional, social or financial. The physical risks are insignificant since saliva, blood, hair, skin, or tissue are easily obtained with very little to no discomfort or risk to you. Emotionally, genetic testing can cause a myriad of feelings from fear, anger and depression through anxiousness and guilt. Since testing will show information about family members as well, family stress and strain can be a direct result. Also, genetic discrimination in the workplace and with insurance companies is a very real threat. In the workplace, sharing genetic information, even unwittingly, can put you at risk for discrimination. Some insurance companies have historically not covered pre-existing conditions or conditions flagged by genetic testing as a possibility for future development. Genetic Discrimination is the use of genetic testing results, either by insurance companies or by employers, to treat unfairly or unlawfully those tested because of differences in their DNA that may affect their health. Those DNA differences are caused by gene mutations. This information can be highly valuable to the person and/or their medical team, but taken out of context, or used against a person, it can be harmful. 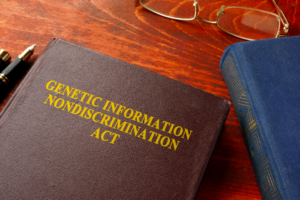 The CRG (Council for Responsible Genetics), has documented multiple cases of discrimination. Here are three different scenarios. Kim is a social worker with a large human services agency. During a staff workshop on caring for people with chronic illnesses, Kim mentions that she was the primary caretaker for her mother who died of Huntington’s Disease. Kim herself has a 50% chance of developing this fatal genetic condition. One week after she reveals her risk status, she is fired from her job, even though she has received outstanding performance reviews in the months prior to the firing. Mary has a family history of breast cancer: both her mother and her aunt were diagnosed with it. She worries about her future and is considering getting tested for BRCA1, a gene associated with hereditary breast cancer. Ultimately, she decides not to take advantage of the test, because she fears a positive result will jeopardize her chances for promotion at her law firm. In 2008, the federal government signed into law the Genetic Information Nondiscrimination Act (GINA), protecting individuals from genetic discrimination by health insurers and employers. GINA Title I Protections: Prohibits group and individual health insurers from using a person’s genetic information to determine eligibility or premiums. It also prohibits health insurers form requesting or requiring that a person undergo a genetic test in order to collect genetic information for underwriting decisions. The Departments of Labor, Health and Human Services and the Treasury have responsibility for issuing these regulations. GINA Title II Protections: Prohibits employers from using a person’s genetic information in making employment decisions such as hiring, firing or job assignments. It also prohibits employers from requesting, requiring or purchasing genetic information about a person or their family members. The EEOC (Equal Employment Opportunity Commission) enforces this. Internal policies of the U.S. military and the Veterans Health Administration afford protections similar to GINA. Unfortunately, GINA does not extend to life, long-term care and disability insurance. Lastly, under risks and limitations, it is important to understand that genetic testing can only provide limited information. It can tell you if you currently have, or could possibly have in the future, a certain disorder. It cannot be more specific by telling you if you will have symptoms, when or how severe, or whether the disorder will get more severe over time. Also, many of these genetic disorders do not have treatment capabilities, or a cure at this time. It is important to get counseling first, and to make sure you understand fully the ramifications of genetic testing. Genetic testing has definitely changed the face of medicine. It has created opportunity for beneficial outcomes for individuals that otherwise would have been at the mercy of fate. Like most things, there is a positive side and a negative. In healthcare, be an educated consumer. Do your homework, and make sure you thoroughly understand the benefits vs the risks. Always take into account the long reaching effects for you and your family, of any decision that you make. Prism Health Advocates is committed to not only providing advocacy for healthcare problems, but also educating people and their families by raising awareness surrounding medical issues.